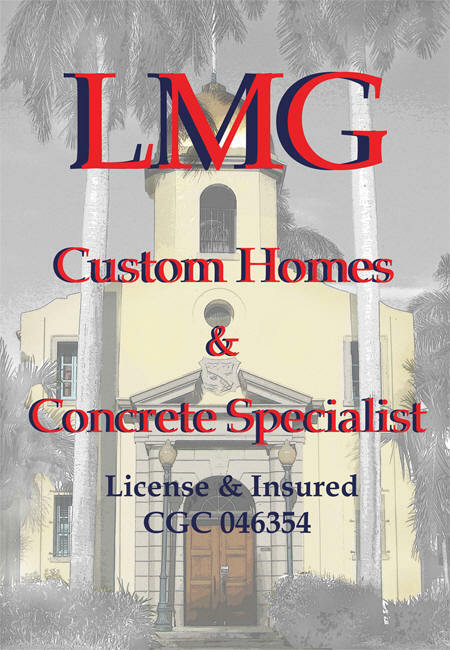 LMG Concrete services West Palm Beach and greater Florida with a variety of drywall services. Whether you're drywall needs are residential or commercial, our family-owned and operated company will work to get your project finished on time, and within your budget. Our clients range from home owners to general contractors. We can handle drywall work for small homes, all the way up to apartment complexes and office buildings. LMG can install drywall to your new home, or as the result of fire and flood damage. Why choose LMG for drywall? Our Florida construction business is licensed, bonded and insured. We are a family owned and operated company, with over six decades of experience poured into your project. Hire a contractor with less experience just to save a few bucks, and you may find yourself out of a lot more time and money. Get it done right the first time, by the company Florida trusts. Call LMG at (561) 750-3211 or send us an email.